Everyone has a different travel style. Some book a solo trip on a whim, without researching their destination. Others plan more intentionally and thoroughly vet their destination before they go by reading all the travel guides they can find. To each their own, however a little research on the cultural customs into the place(s) you want to go on your solo trip is not a bad idea. These can include include: currency conversion, religion, modes of common transportation, language, history, and politics. Research can help you understand more about a location, and perhaps diminish some possible culture shock. Before embarking on my first solo trip abroad, I made a detailed itinerary of my trip and sent it to my loved ones. In this email or document, write down your housing information, the sights you plan to visit, and any transportation information such as flights. Just in case an issue arises, it is helpful that someone else knows your whereabouts. Hostels are the best place for solo travelers to meet other people on your trip. Hanging out in common areas, such as lounges and game rooms, will have you meeting people in no time. Then, when you need your solitude, you have the freedom to retreat to your room or explore on your own. While you may be going to escape social interaction, or going to challenge yourself, solo travel does not have to be a lonely experience. You may even stay in hostels in locations that you least expect. There are many ways to make friends during solo travel, and a free walking tour is a cheap and easy option! Walking tours bring together people of all backgrounds in cities and countries around the world. Hostels and Airbnbs often offer pamphlets on how to find them. You can also check out the tourism office to learn more about the free and not-free activities, such as cooking classes, local tastings, water sports, etc. depending on the destination. When you arrive at your destination, make sure to keep your passport in safe place. Only bring out your passport when necessary. Make a copy of your visa if your visa requires that too. Having copies is also helpful if you lose or misplace any important documents. Just in case of an emergency, it’s better safe than sorry. Social media is a prime spot to find new travel buddies, with Instagram being the top social media channel to do so! If you want to meet up with new people put out a call on your social channels to see if anyone responds. Or, be bold to reach out to a travel blogger on Instagram and ask if they will! Travel is a great way to build new connections, and blind travel dating with Instagram friends can be the best way to go. Speaking of connecting with people, don’t be shy when you want to do it for the ‘gram! Even if you can’t meet up with groups you “met” on social media, there many solo and group travelers out in tourist destinations who are looking for someone to take their photo too. A solo travel pro tip: look around for someone with a camera around their neck. Chances are they know how to handle your smartphone or DSLR once you frame the shot you want. Buying a portable charger is a solo travel tip that everyone should abide by. You will probably take tons of photos on your phone and camera, or using your GPS and some of these recommended travel apps, which can drain your battery fast. For safety and communication concerns, you don’t want to have your battery die! Bringing extra phone cords and chargers, in addition to the portable charger, is another good idea to be prepared if one cord stops working. The idea of solo travel can seem daunting at first, I get it. But it’s a new adventure that you won’t know if you like or dislike until you try it! While solo travel is not for everyone, which is 100% ok if you come to that decision, there is beauty in navigating a new location on your own. Not having the constraints of someone else’s schedule, interests, or budget, makes for an adventure all your own. Always remember to be aware of your surroundings, take proper precautions when necessary, and immerse yourself in the culture as much as you can. 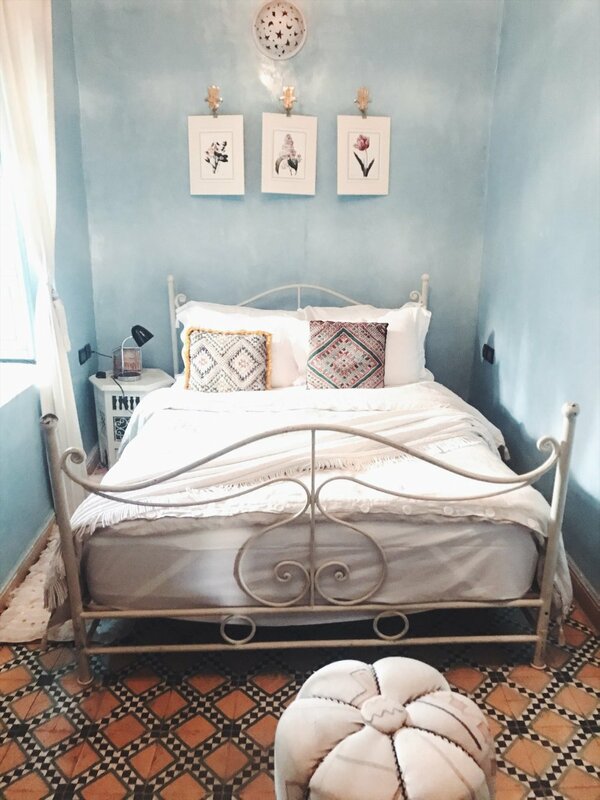 About the Author - With a childhood full of USA travel and journaling, Sojourner combined these passions by creating "Sojournies" in 2015 during a semester in Spain. 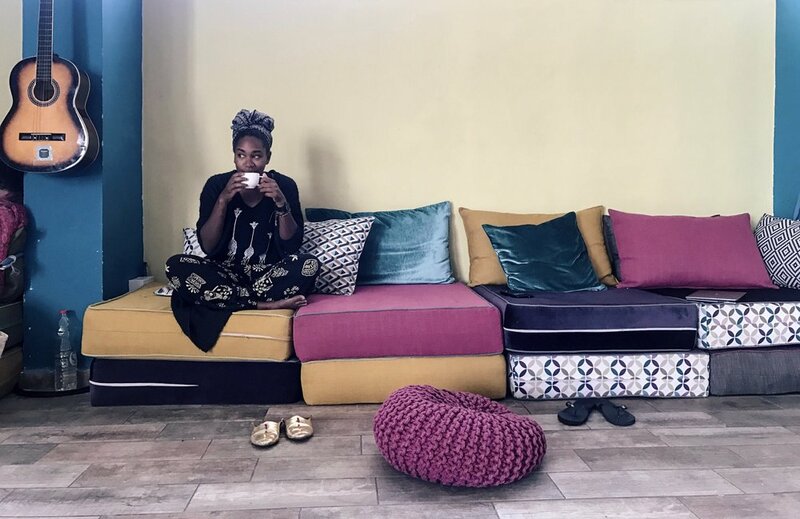 She continued her travel writing as a Fulbright Fellow and AmeriCorps member, documenting her experiences as a black woman, budget traveler, and professional. Now, as a grad student studying International Social Work, she shares all her travel tips to encourage readers to fulfill their own life journeys. Sojourner is currently a TTF Intern with Jakiya.